In response to ECB plans to restructure women’s county cricket from 2020, several of the counties who will be relegated to “feeder county” status are planning on launching their own league in order to keep women’s county cricket alive below the top division. 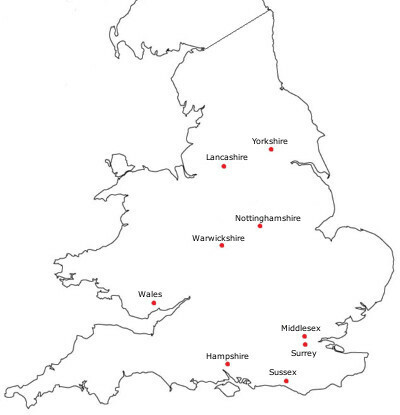 The ECB’s restructure would see only the top 10 counties fielding senior county women’s sides in the new 1-division Women’s County Championship, with all other counties serving as “feeders”, developing age-group players who will then join their closest full county side. Essex, Norfolk, Suffolk, Huntingdonshire, Cambridgeshire and Hertfordshire are the counties currently involved in the plan, which would see a new East of England Competition set up, contested by the 6 counties. CRICKETher understands that the ECB are aware of the plan and are attempting to limit it to an Under-21 age-group competition, in keeping with the new restructure. However, the counties feel this would defeat the purpose of the competition, which is to ensure that older players continue to have opportunities to develop their abilities. One senior county executive said that they would play overage players even if an age limit was imposed by the ECB. It will be difficult for the ECB to force the issue, given that the new competition will formally be played outside of their direct jurisdiction, and will be independently funded by the counties from sponsorship and fundraising. Several existing county players have already expressed disquiet about the restructure, which will see them restricted to playing club cricket – seen by many as a backward step. In the East of England, where the club structure is almost non-existent, those involved in county cricket are particularly worried that many players will be forced out of the game altogether come 2020. Should the Eastern Counties be successful they may well inspire similar independent county competitions around England in other areas where club cricket is struggling. The ECB’s planned overhaul of women’s county cricket, whereby from 2020 only a top tier of 8 or 10 counties will participate in the County Championship, is sparking concerns among players and coaches that it will stymie the development of the sport. The proposals would mean the end of the careers of approximately 250 senior county players, who the ECB hope will move into the club structure from 2020. However, the weakness of the underlying club structure in some regions of the country effectively means that some of these players may be lost to cricket for good. Another, responding to the proposals on Twitter, labelled the move a “massive shame”: “Been playing county senior cricket for 10 years and to see it end will be pretty rubbish”. CRICKETher understands that the proposals were presented to those working in the current women’s set-up at four consultation meetings held around the country in 2018. However, while these meetings presented an opportunity to provide feedback on the proposals, some working in county cricket feel their views have not been taken into account. More details are coming to light regarding the ECB’s proposed restructure of women’s county cricket from 2020. CRICKETher understands that the top 10 counties will be decided by a bidding process, whereby counties will put forward expressions of interest and the ECB will then grant hosting rights to the strongest proposals. The top counties will be supported by 10 Academy “hubs”, and will play in a one-division Championship, while the old Division 2 and 3 counties will simply serve as “feeders”, developing age-group players who will then join their closest county side. Revenue from the ECB’s new TV deal will be used to enable the top 10 counties to offer professionally staffed set-ups. Players will also be remunerated, though this will likely fall short of fully professional pay, at least initially. While the bidding process is ostensibly an open one, it seems logistically unlikely that the 8 “Hundred” counties will not feature in the new Championship – not least because this will limit the amount of travelling which the top women’s players will need to do. CRICKETher understands that Sussex are confident they will be one of the selected counties, given their extensive facilities at the Aldridge Cricket Academy funded by millionaire Sir Rod Aldridge, which leaves just one spot in the top flight remaining. The traditional prominence of the southern counties in the women’s game means that large areas of England are likely to be unrepresented in the new Women’s County Championship. Current players who represent the counties which are not successful in the bidding process will be encouraged to play club cricket as an alternative.